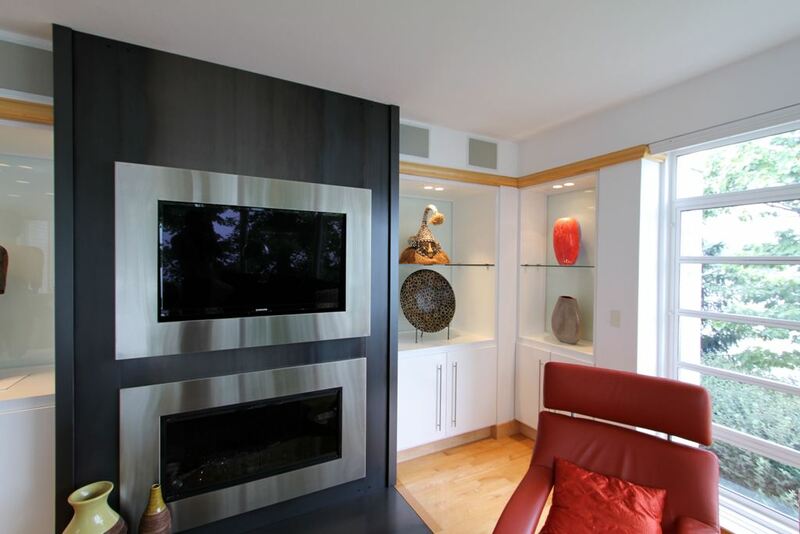 This sitting room project was the third, single space renovation we performed in a lakeside Geist area home to update a fireplace and TV combination. 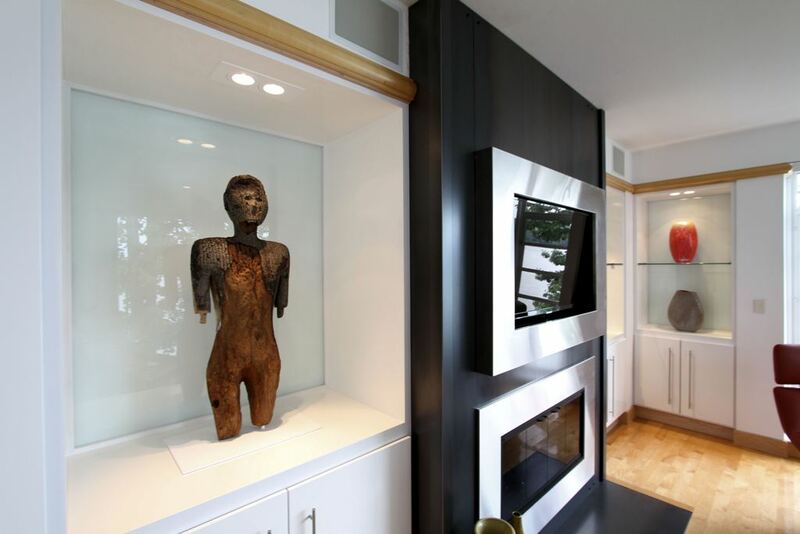 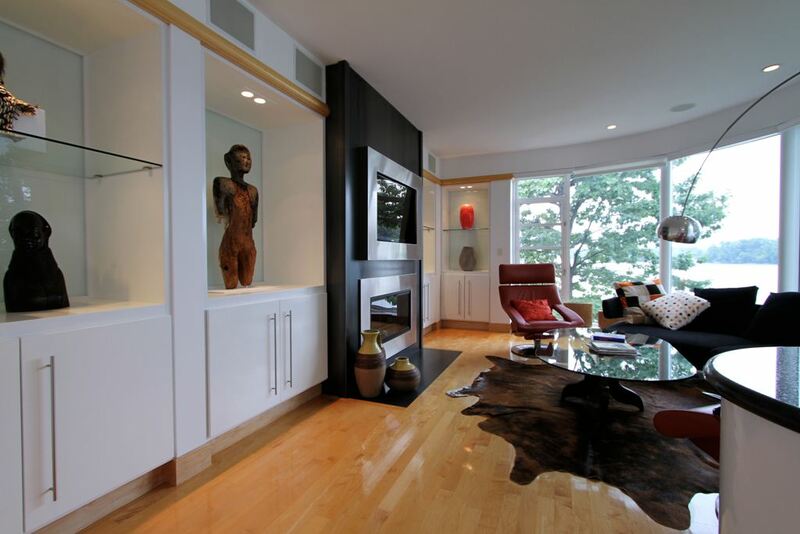 The owner wanted to match the look and details of the other fireplaces we had remodeled and create better displays for his extensive art collection. The space sits off the kitchen in the Geist area home. 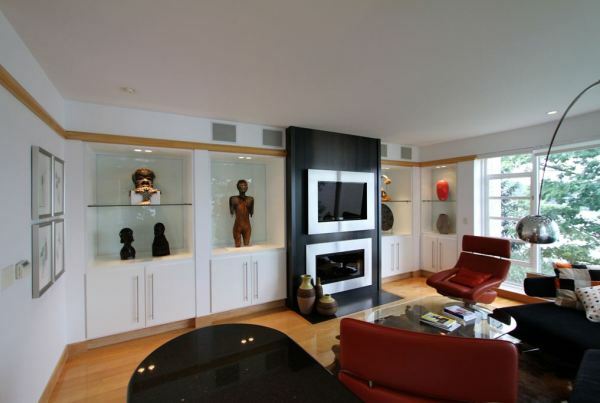 The original masonry fireplace was faced in slabs of granite, with maple cabinetry on each side for the TV and for storage. A small desk also sat off to one end of the room and a recessed display alcove on the other. 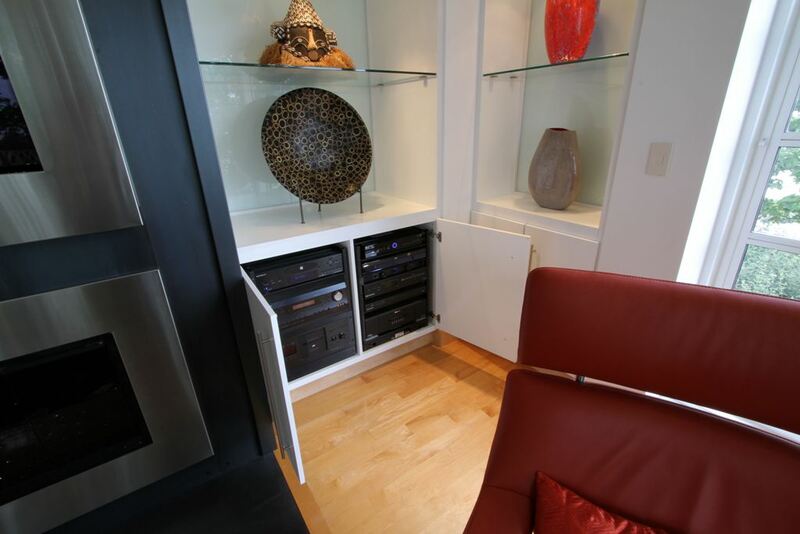 In order to place the TV over the fireplace, the firebox was cut and lowered. 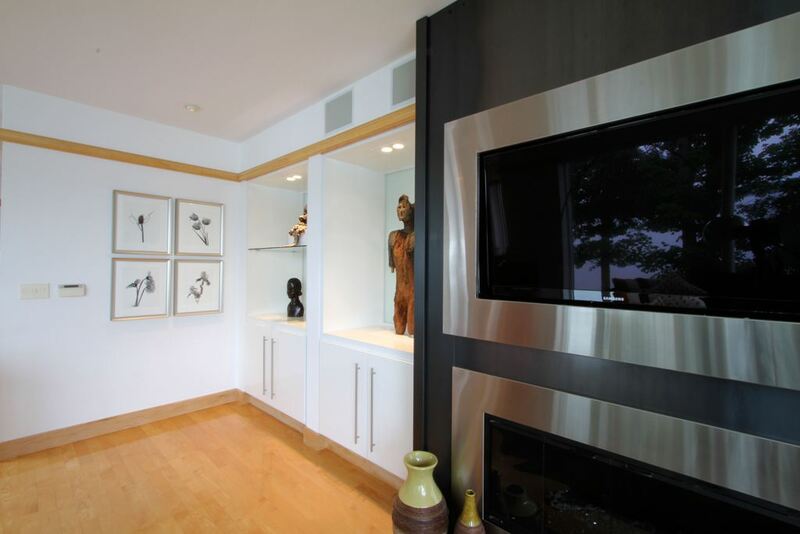 The entire masonry fireplace was wrapped in hot rolled steel, with stainless steel accents around the firebox and TV enclosure. A granite hearth stone was replaced with matching hot rolled steel. 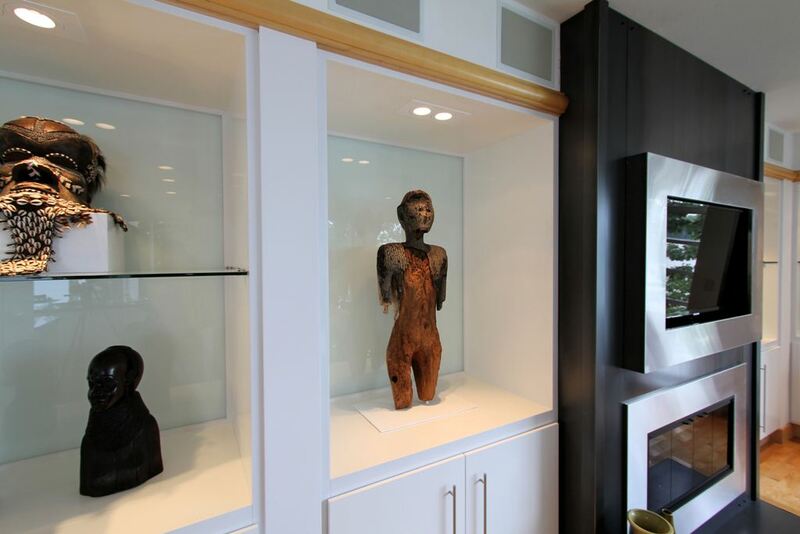 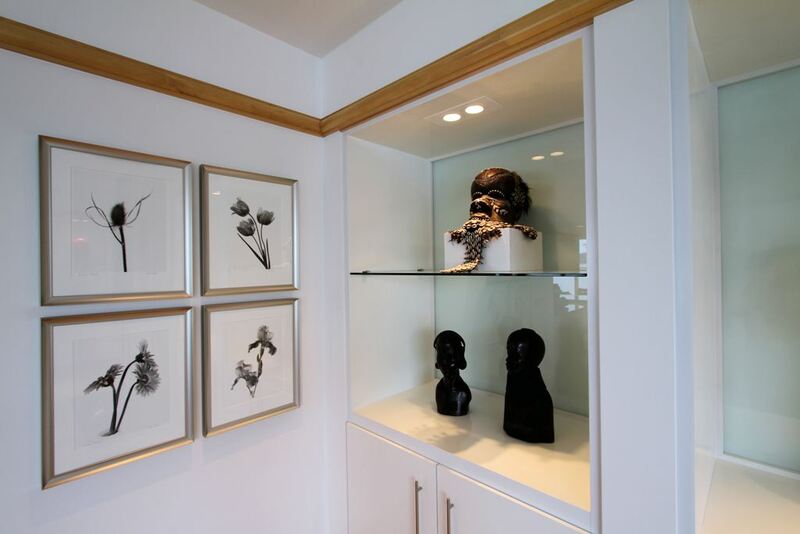 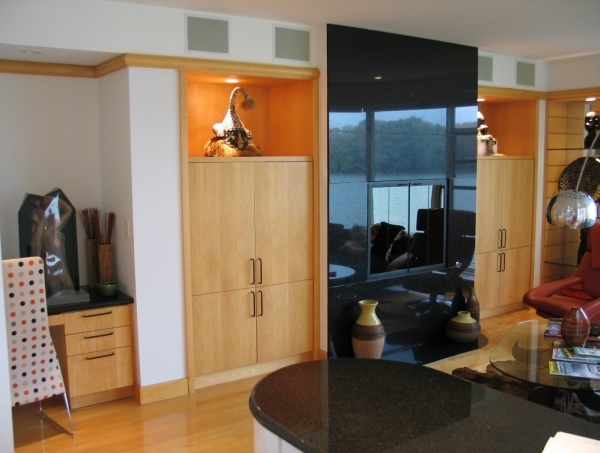 The new display cabinets are white lacquer, with sandblasted glass panels behind the upper sections.